Citronella oil is one of the essential oils obtained from the leaves and stems of different species of Cymbopogon (lemongrass). Citronella oil can be used to make soap, candles and incense, perfumery and cosmetic agents. More importantly for campers, it works as a great non-toxic insect repellant. Only problem with citronella oil is that it tends to be expensive. 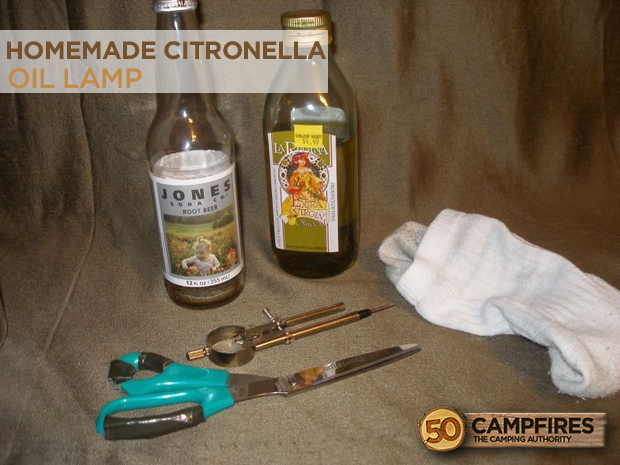 But do not worry fellow campers, I found an article on eHow on how to save money by making your own citronella oil with some commonly used household items. 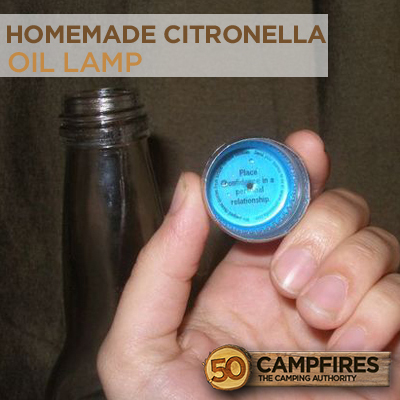 We need to be able to use this oil, so I will also show you how to make a instructables’ homemade citronella oil lamp. Lets start by making the citronella oil first since it takes a lot longer. 1. Combine the olive oil and nard grass leaves and stems in the slow cooker. 2. Cook the oil and nard grass mixture for four to eight hours. 3. Strain the mixture using a cheesecloth. 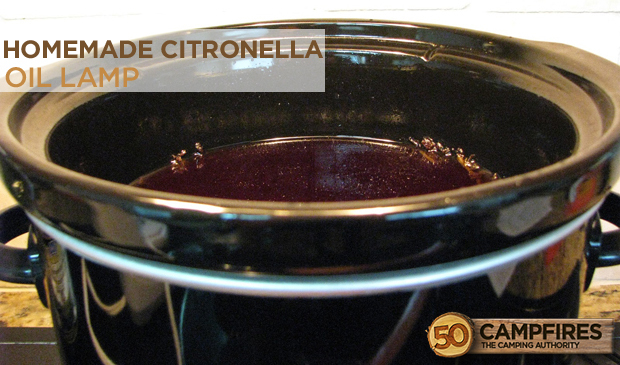 The strained mixture is your citronella oil. Discard the nard grass. 4. Set the oil aside in a jar. 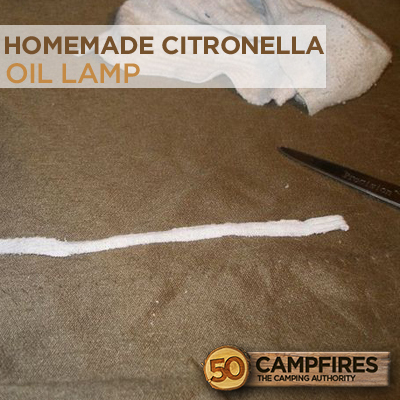 Now that we have made our new non-toxic citronella oil, we need to make a lamp to hold and light the oil. 1. Take the metal cap off the bottle and use the sharp poking instrument to make a small hole in the middle of the cap. 2. Use the scissors to cut a thin slice of cotton fabric to be used as your wick. 3. String the new wick through the hole of the metal bottle cap. 4. 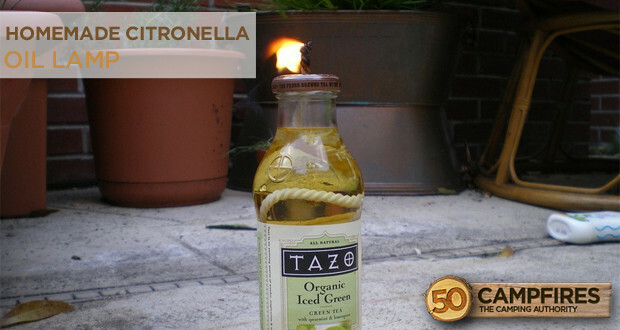 Fill the bottle with the citronella oil you made earlier. Wait a few minutes for the bubbles to go away before tightening the cap back as tight as possible. 5. Wait at least one hour to let the wick fully soak in the oil. You can get really creative by using wine bottles, liquor bottles, vintage Coke bottle or whatever you choose. Now, that you have a homemade citronella oil lamp to fend off the pesky misquotes, go outside and enjoy the day.